This is another horror list that is completely up to personal opinion. You have yours and I have mine. You can guess whose opinion I am posting, eh? Now the qualifications for each actor is a little difficult to describe. You see, some actors may only be in one horror movie in their entire career, but the movie is so great that it becomes a classic. Gregory Peck in The Omen is a good example. 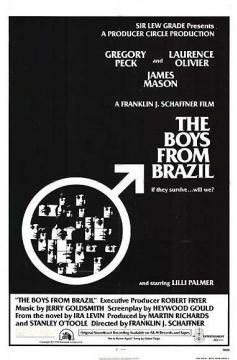 (Of course, us movie snobs could probably list Cape Fear and The Boys from Brazil as the next closest example of horror he was in, but those movies aren't true horror movies as we think of them now.) But one horror movie does not make a horror actor. The debate begins with "have they been in a lot of horror movies?" vs. "are they known for their horror movies?" vs. "are they really good actors or just good horror actors?" Well, I don't care how many mainstream flops anyone of these guys have had. I'm ranking them by their horror movie cred and by their ability to make bad movies that much more watchable. These guys may have been in other movies, but they are the ones I think of when I think of horror. 10. Basil Rathbone - Okay, it's pretty hard for many of us to not picture him as Sherlock Holmes. And for my money, he always will be Holmes or at least how I will always picture Holmes. But his contributions to movies like Son of Frankenstein, Tower of London, Tales of Terror, and The Black Cat warrant him a mention on this list. He's undoubtedly a fantastic actor and he's not a horror actor per se, but when he was in a horror movie he put forth a great performance. Few actors can pull off being multi-genre, but Rathbone did it in style. I would have liked to have seen him in more horror movies because it would undoubtedly have put him much higher on my list. Instead, he's tenth. 09. Dwight Frye - Frye is peculiar in that he was only really ever a supporting actor, but he seems to be popular enough that even Alice Cooper named a song after him. Indeed, his roles are quite good and the great shame is that there isn't more of them. Unfortunately, he was typecast as being the supporting crazy lunatic in too many movies and grew frustrated with Hollywood. And his untimely death at the age of 44 in 1943 makes one think about what he could have done. 08. Lon Chaney Jr. - He is the son of probably the greatest actor in silent cinema and the constant comparison to his father made him look like the lesser of the two during his time. Now most people probably couldn't tell you who his father was or who he was. Or maybe I'm just being a cynical prick. Lon Chaney Jr. played the Wolf Man/Lawrence Talbot a total of five times. He also played Frankenstein's monster once in The Ghost of Frankenstein, the mummy in three films, and even a vampire in The Son of Dracula. 07. Donald Pleasence - The Eagle Has Landed, The Great Escape, and You Only Live Twice... Those are some pretty good movies. But what do we think of when we think of Mr. Pleasence? Dr. Samuel Loomis, of course. Some of us even think of Prince of Darkness, Alone in the Dark, and a version of Dracula that starred Frank Langella as the Count. But he is the face of Halloween next to Michael Myers (who is really the face of William Shatner... go figure). 06. Bela Lugosi - With his peculiar and often times distracting accent, Lugosi proved that it was possible to be a star. Yes, for a time he was ranked as one of the greats even though he's now fallen into obscurity with the exception of his one landmark film Dracula. Perhaps his relation with the likes of Ed Wood near the end of his career and his involvement in Abbott and Costello Meet Frankenstein (the second and final time Lugosi ever played the legendary Count) serve to reinforce the idea that Lugosi was just a one hit wonder. But that isn't quite correct. Sure, in the forties and fifties his good movies were few and far between. And the ones that were bad were really bad. But it's his tremendous role as Ygor in Son of Frankenstein and The Ghost of Frankenstein and his roles in The Raven and Murders in the Rue Morgue that show you that the man was capable of more than just flapping a cape. But Lugosi is a peculiar actor when it comes to horror because people do think of him when it comes to horror, but they can't or don't necessarily think of his movies. 05. Peter Cushing - His two best known roles are as the mad scientist Baron Frankenstein and the eccentric Professor Van Helsing and that should be all I have to say. 04. Christopher Lee - He is probably the most well-known Count and the one who put on the cape the most. And he is also the only one on this list still alive as of this writing. But the strange thing is that he has sort of managed the best career of any actor that could associate themselves with the horror genre. Roles in the The Hobbit and Lord of the Rings trilogies as well as the love-it-or-hate-it Star Wars prequel films sort of have a way of making people forget that this guy used to be a Hammer horror icon. He was Frankenstein's monster and the Mummy as well as being the Count. But it was always a treat to watch Cushing and Lee duel each other on screen. I wish they could have been in Star Wars together (in the same movie, wouldn't that have been something?) and done a few more Sherlock Holmes films... but I suppose we can only treasure the films there are and thank Hammer for them. 03. Boris Karloff - Whether he was starring alongside Bela Lugosi or asking for his creator to make him a bride, Karloff was always a treat to watch. His best movies were made in the 30's, but gems like The Body Snatcher and House of Frankenstein could be found later in his career. Of course, he's undoubtedly best known for his first two outings as Frankenstein's monster. 02. Lon Chaney - Silence has to be the hardest way to convey horror. In this age of uber-gore and grotesquely uncomfortable scenes... it seems truly impossible to imagine what it would be like to make a silent horror movie. 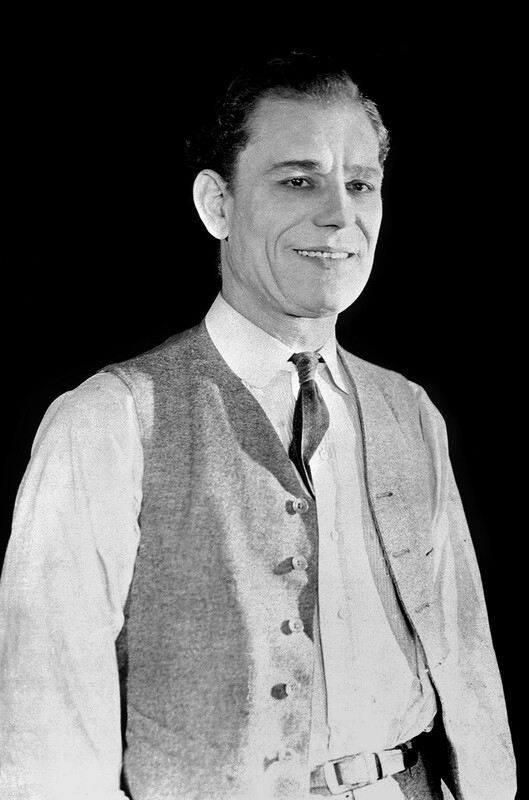 But Lon Chaney did it all the time and he did it extremely well. The ever classic The Phantom of the Opera was released only six years before Universal's Dracula, but the former is completely silent while the latter is of course not. I often wonder what The Hunchback of Notre Dame or The Unknown would be like if they had sound. Undoubtedly, they would find a much bigger audience today, but then that would take away some of the mystique or Lon Chaney. The man only made one talkie in his life and that was the final film he ever made. It's interesting to hear him talk, but it's even more interesting to see him perform. 01. Vincent Price - You saw this coming, yes? No one made bad films watchable quite like Price and he managed to become an icon without ever being the Wolf Man or Frankenstein's monster. He was only the Invisible Man once in The Invisible Man Returns (unless you count his "cameo" in Abbott and Costello Meet Frankenstein), but all the same Vincent Price has become a household name. It's pretty amazing, really. Can you imagine Price playing opposite Lon Chaney Jr. in a Wolf Man sequel? That would have been interesting. But Price didn't need to stand by anybody or under anybody's shadow. His frequent Edgar Allan Poe semi-adaptations and his always classy portrayals of mad men have given him a bit of cinema immortality. But what really sets him apart from the rest of the pack is his voice. He's just got the voice of horror. Admittedly, the list of great women in the realm of horror is a very short one and very obscure. Jamie Lee was great in the few horror movies she did, but I didn't include her because the argument would begin as to who I should leave off and why other women weren't on the list. So to avoid the whole issue I just made an "Actors" list. I'm going to try and come up with a "horror actresses" list, but after Jamie Lee I really don't have a favorite horror actress. But she probably would be number eleven or twelve if this list did continue and include women. 10 Favorite Horror Movies That Begin With "The"